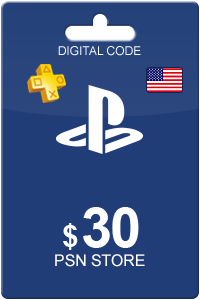 Using the PlayStation Network Card is an excellent way to monitor your own or a family members spending on the PlayStation Store. It allows you to spend credit inside the PlayStation Store without storing your credit/debit card to the PlayStation Store. Inside the PlayStation Store, users are allowed to spend their credit on a wide variety of downloads such as full games, movies, avatars, music and more. The PlayStation Network Card is available on any device which the PlayStation Store is accessible. Examples include: PSP, PS3, PS4 and PS Vita. Ordering and getting your PlayStation Network Card is stress-free. Input your basic information along with a payment. Once that is complete your code will appear on your computer screen. We will be sending your code on email as well, so no need to stress. 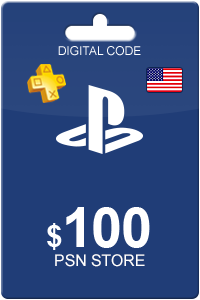 Sådan køber du Playstation Network Card 10 USD? At købe Playstation Network Card 10 USD fra Livekort.dk er lige så let som 1 2 3! Du skal blot indtaste din emailadresse, vælge en betalingsmetode og fuldføre betalingen! Vi har nogle af de billigste Playstation Network Card 10 USD på markedet.